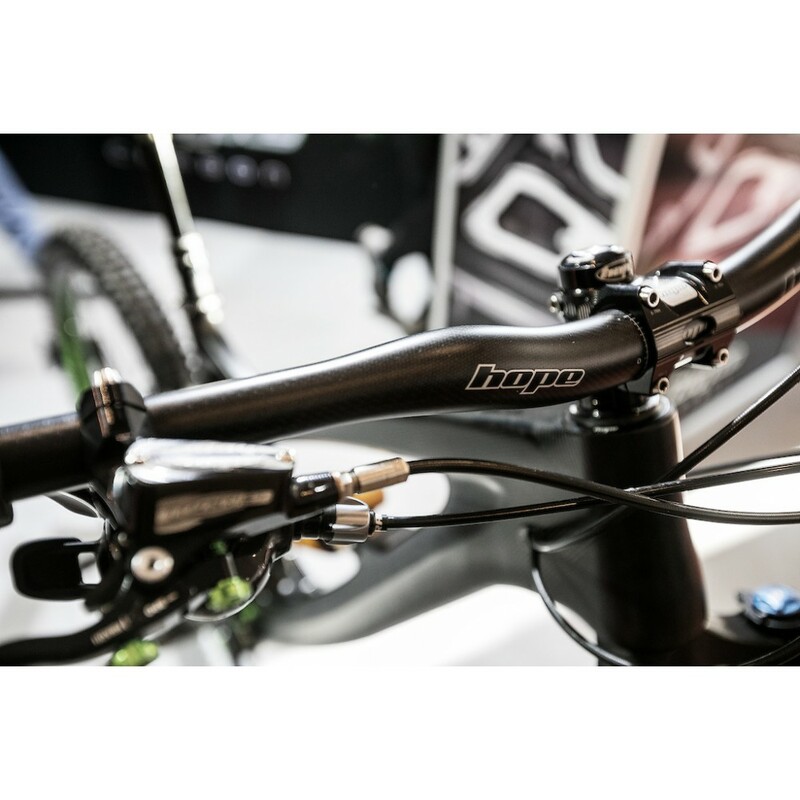 UK manufactured Carbon seat Handlebar, light enough for Road and XC use and strong enough for DH! 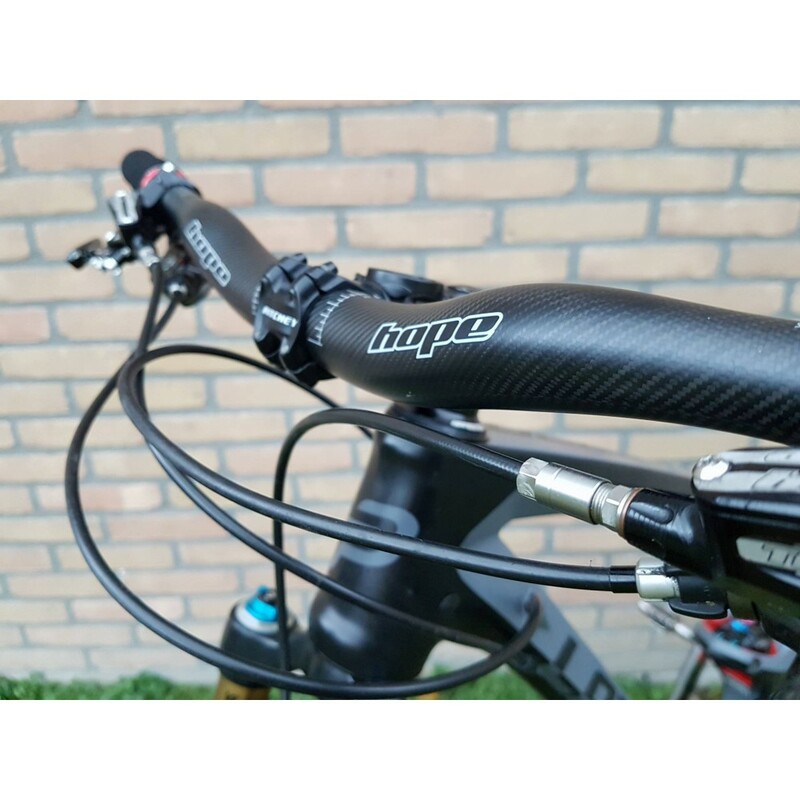 "Stiff, light and strong Carbon Handlebar"
For many years it’s been our dream to produce handlebars. 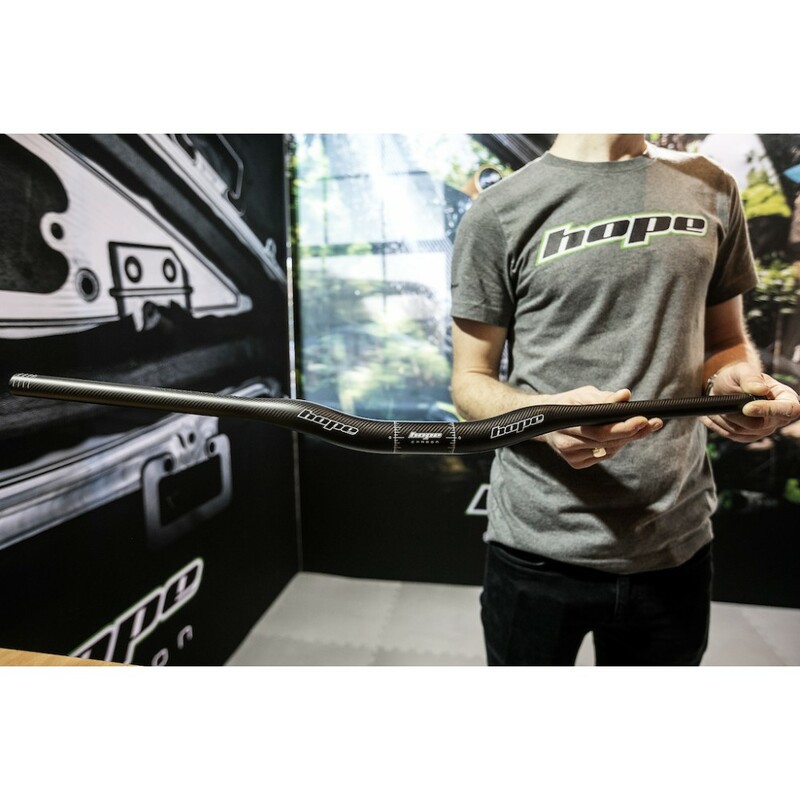 We initially looked at producing aluminium bars and went through a long design and testing process, but realised the only way to produce them in aluminium would be to use Far East manufacturing. Not really the Hope way! 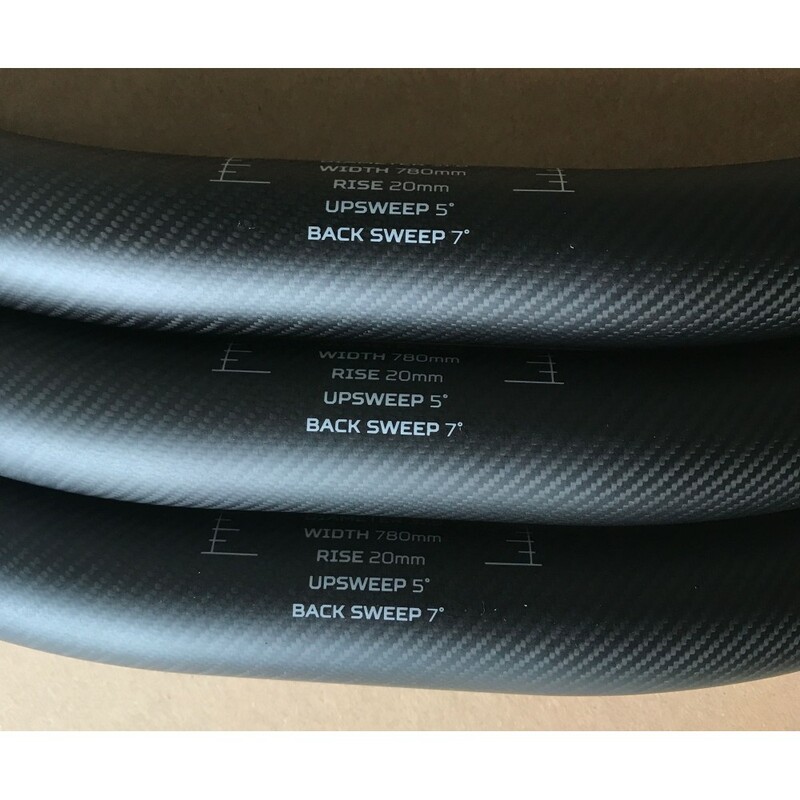 We then began looking at carbon fibre production and quickly realised that this method could enable handlebar manufacture to remain in Barnoldswick. With the development of the HB.211 frame giving vital carbon production experience a new facility has been built at our Barnoldswick site. 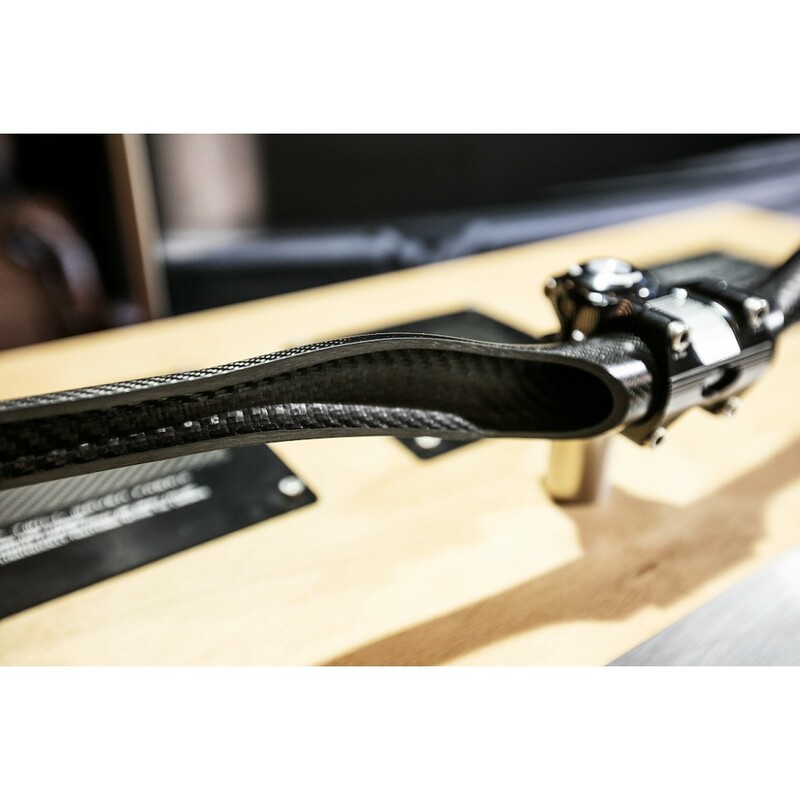 The key design feature on the Carbon handlebars is a wider bulbous area around the centre of the bars. 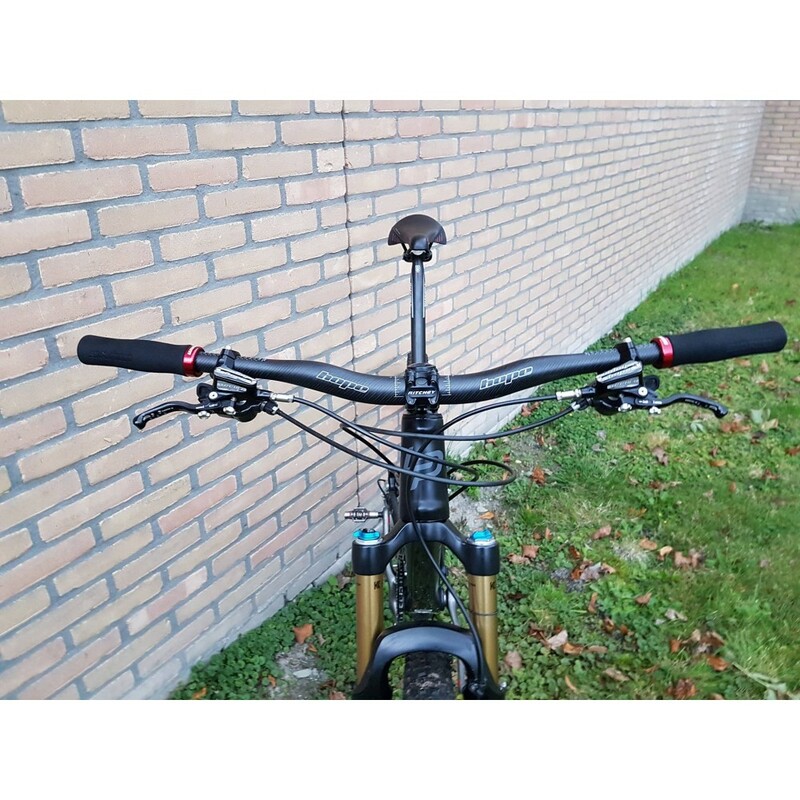 Usually this diameter is restricted to the stem clamp area, but by keeping this diameter around all the bends, and only reducing the size in the lever clamp area a significantly stronger bar can be produced. 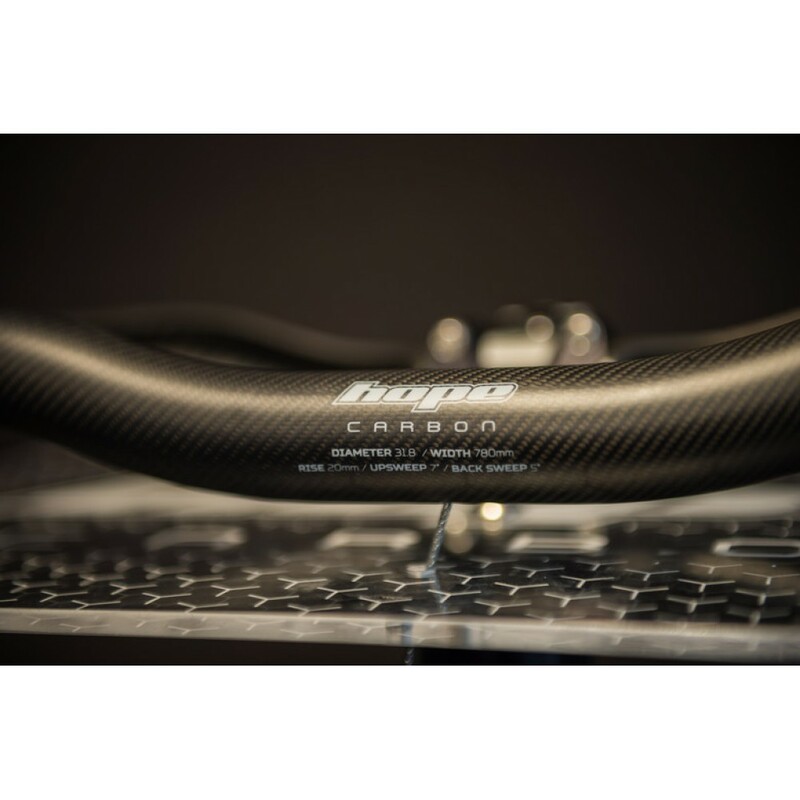 Hope's carbon bars will be offered at 780 mm in width and initially, only in a 20 mm rise.